3D LABELS with foam tape | 2HHOLINGER s.r.o. 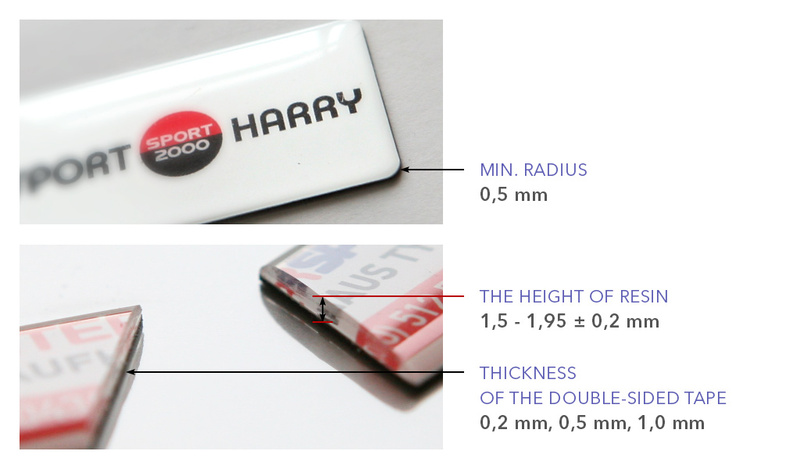 Coverage of stickers’ surface by clear polyurethane resin causes 3D effect, brightening of colours, highlighting of shape and finally the protection against mechanical damage. 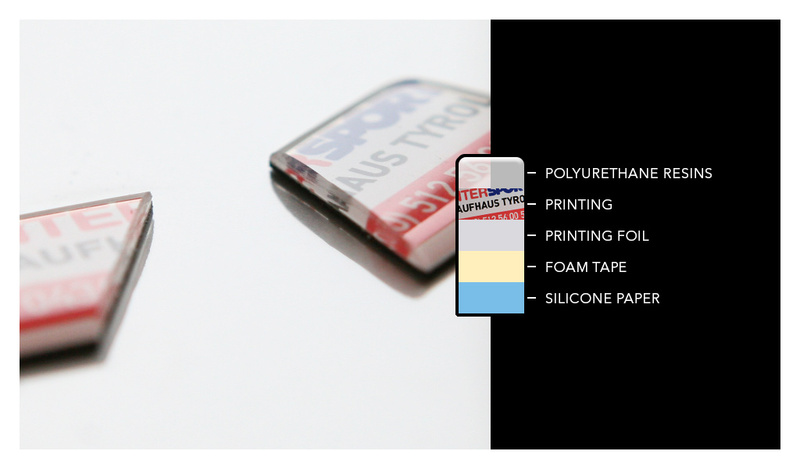 In contrast, foam tape helps to ease the application onto very difficult to bond materials (ABS, powder paint, textured background, polypropylene and other) including the concave and convex surfaces. Domed labels with double adhesive tape find their place in industrial equipment and products, where conventional labels are not enough and where the emphasis is on the eminence of detail and precision of processing products and machinery.